Soulful singer Con Hunley was born and raised in Fountain City in the Smoky Mountain foothills of East Tennessee. One of six children, Con had music in his life from birth. His first entrance into the music world was singing gospel songs at church with his family. Con was overjoyed when his parents bought him a used "Stella" guitar for Christmas when he was nine years old. His parents taught him basic chords (G,C,D,A) and some simple songs. "I was 10 or 12 years old before I realized that everybody didn't know how to play the guitar and sing, because everybody in my family did. On Saturday nights, we'd all pick and sing. On Sundays, we'd go to church and sing. That's what everybody did, including aunts, uncles, cousins, and grandparents." Con idolized Chet Atkins and taught himself to play thumb-style guitar while still a youth. When his parents bought a piano for his sister Beth, Con taught himself to play by ear and learned Ray Charles' famous hit, "What'd I Say." That was the beginning of a lifelong love affair with Charles' music. Con credits Ray Charles with having the greatest influence on his style and his music career. "That record was like a monster that just grabbed me up," Con says, "and it kept alive my motivation to play." Con's first professional gig came in 1964 at the Eagles Club in downtown Knoxville. He played in a band that was headed up by Gene Hammock. Gene was a well-known local singer who sang in the style of Jim Reeves and Eddie Arnold. The gig paid $12.00 for three hours, which was more than Con was making per hour at the local mill. Con was determined to get out of the mill, and in May of 1965 he joined the Air Force where he hoped to learn a trade. During recruitment testing, the Air Force found that Con was mechanically inclined. After basic training, Con was sent to a tech school at Chanute AFB in Illinois where he was taught aircraft hydraulic and pneumatic systems. He excelled at that and was shortly made an instructor in that field. While there, Con played with a local band. As the Viet Nam War deescalated, Con was transferred to Castle AFB near Atwater, CA. He found a job playing piano at the Empire Lounge in Atwater, and from that moment he was destined for a career in music. He played there until his discharge in 1968. When Con returned to Knoxville, he felt like a stranger in his own hometown. Unable to find a job with local bands, he began to go to the Corner Lounge on Central Avenue and play just for his own pleasure. After a month or so the owner, Ernestine Purkey, told him he could play on Thursday nights for tips. She said, "Thursday nights are bad so I know you can't hurt my business, and you might help it." Thursday nights at the Corner Lounge soon became a real happening in Knoxville, and it continued for almost 10 years. After he started becoming well-known at the Corner Lounge, Con was able to land a job playing at the Village Barn with Marvin Russell and the Rhythm Masters Band. In 1975 Con went to Nashville after catching the ear of Sam Kirkpatrick, who happened to be at the Corner Lounge one Thursday night. Kirkpatrick became such a fan that he founded Prairie Dust Records as an outlet for Hunley's music and took him into Nashville's famed Studio B with an A-Team of Music Row session musicians. Con, with the help of guitarist Larry Morton, who was band leader for Danny Davis and the Nashville Brass, cut five sides: "Misery Loves Company," "Pick Up The Pieces," "I'll Always Remember That Song," "Deep In The Arms of Texas" and "Breaking Up Is Hard To Do," which gained national radio airplay. Soon after, Con was invited by his good friend Bobby Denton at WIVK Radio to participate with him at the Acuff-Rose Publishing Company Golf Tournament in Nashville. After the first day of the tournament the golfer/musicians, made up of the biggest names in country music, had a "guitar pull." Bobby Denton asked Con to sing. He sang two songs after a lot of persuasion but was totally in awe of everyone in the room. A few days after the tournament, his phone started ringing and within the week had had offers from five major labels. After the dust settled, Con signed with Warner Bros. Records and began scoring hits like "What's New with You," "Oh Girl," "Week-End Friend," "You've Still Got a Place in My Heart," "You Lay a Whole Lot of Love on Me," "Since I Fell for You" and other songs. 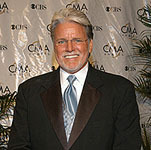 It was during these years that Con was nominated for Male Vocalist of the Year and Newcomer of the Year by ACM and CMA. In 1982 Con recorded his biggest hit to date, "Oh Girl." During that time he was touring with various artists including George Jones, Tammy Wynette, Alabama, The Gatlin Brothers, The Oak Ridge Boys and others. His passionate vocals had won him a devoted and enthusiastic fan base, so gaining a new recording contract wasn't a problem. 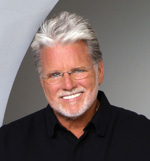 He moved to MCA Records, where he issued a 1983 version of Porter Wagoner's classic "Satisfied Mind" which featured the Grand Ole Opry legend as his guest vocalist. After a major shakeup at MCA, Jim Fogelsong, who signed Con to MCA, moved to Capitol Records. Con followed Fogelsong to Capitol, and began recording a new album, resulting in a new string of singles, including the much-aired "What Am I Gonna Do About You." Hunley readily admits how naive he was during this era. "I thought that all I had to do was find good songs and record them. I was kind of gullible. I was just a country boy from East Tennessee. I didn't have a manager. I thought the record company would take care of me. I was a trusting soul who had nobody to speak up for me in Nashville. The squeaky wheel gets the grease, and pretty soon I wasn't a priority at the company." "I'm just a song person," says Hunley. "If a song speaks to me, I grasp it pretty quickly. But after awhile, when I'd bring the label the songs I'd found, they'd say stuff like, 'We don't hear you doing that.' I didn't know what was going on behind the scenes. All I knew was, I wanted to make records, and that became harder and harder to do." Frustrated, he walked away from the recording industry. He and his brother built a chain of dry-cleaning establishments back home in Knoxville. By the 1990s, Con Hunley was back to singing locally and at celebrity golf tournaments. For the past 20 years, he has hosted his own annually in Knoxville. It has raised more than a million dollars for Golden Gloves Charities. "Whenever I would sing at those tournaments, people would come up and say, 'Where have you been? We love your singing. We love your songs.' And that gave me hope that something would happen in the future. I felt like some other record label would call and make me another offer. It didn't happen." Con Hunley's revival began in 1996 when he was invited to the White House by President Clinton to perform at wife Hillary's birthday party. Later that same year, Hunley was asked to sing at the Nashville Songwriters Hall of Fame banquet. His old Warner Bros. Records producer Norro Wilson was being inducted, so Hunley agreed to perform Wilson's "The Most Beautiful Girl" at the ceremony. Audience members erupted in applause and afterward urged Wilson and Hunley to reunite in the studio. The singer resolved to regain control of his life and career. "My mother died in 1999, and my father died in 2004. They both said, 'Don't you ever give up. Don't ever quit.' Some of my father's last words to me were - it's an old country saying - 'You lay in there.' After they died, I thought, 'What do you love more than anything? What affects you more than anything?' It's the music!" "That's when I started thinking, 'Well, this has been my life. I got my first paying music job in 1965. So if I've given it all these years, why not give it the rest of my life?' And I'm thankful for that decision every day." Con's 2004 comeback album, Sweet Memories, was embraced by thousands of people who'd never forgotten the blue-eyed country singer. Major national retailers such as Kmart and Wal-Mart opened rack space to stock the new album. Billboard, Country Weekly and other periodicals published ecstatic reviews. Music Row magazine not only raved, it featured him on its cover. CMT.com named Sweet Memories one of the top-10 country albums of the year. Praise poured in from celebrities such as Vince Gill, Kenny Chesney, Ralph Emery and Bill Anderson. Hunley's new website attracted nearly a million hits. The singer's triumphant return was featured at the 2005 Country Music Association Music Festival in Nashville. He performed in concert at the Country Music Hall of Fame and at The Ryman Auditorium. His new music received airplay at stations from coast to coast as well as on both national satellite country outlets, XM and Sirius. Since then, the unforgettable stylist has done more than 400 media interviews about his remarkable resurgence. "This is all just unbelievable," says the gifted East Tennessean. "I don't understand it. I mean, I believe somebody with a big hand is watching over this. I'm awfully thankful for what's going on right now." Sweet Memories is part of a blitz of releases on Con Hunley's independent label IMMI Records. Hot on its heels came The First Time From Studio B, a compilation of the singer's earliest recordings of 1975-77. All five of his Warner Bros. Records albums of 1979-82 were also remastered and released on CD by IMMI. The masterful follow-up to Sweet Memories is a dozen new performances called Shoot From the Heart. Hunley co-wrote the collection's autobiographical title tune, as well as its wildly energetic rocker "That Old Clock." The album comes packed with country ballads that have long been the stylist's specialty - "Look at Me Loving You Again" and "The Keys," for instance. His soulful rendition of "Deep in the Arms of Texas" is underscored by weeping steel guitar. Hunley's heart-melting vocal phrasing has seldom been more expressive than on "I Can See You With My Eyes Closed." His performance on the CD's first single, the heartfelt power-ballad "I Can't Make it Alone," is so intense it raises goose bumps. 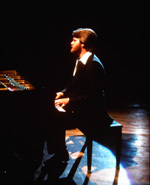 Con Hunley's version of "Georgia on My Mind," which he recorded as a tribute to Ray Charles, aches in all the right places. "Rockin' in the Arms of Your Memory" and "Just Like Old Times" sport bopping, bluesy grooves. "Hollow Man" and a version of Kris Kristofferson's "Why Me" poignantly address the singer's recovery from alcohol abuse. Hunley says, "When I left the record business, I had a bitter taste in my mouth. I think I wallowed in self pity quite a bit. I felt rejected. Alcohol was a refreshment for so long, and then it became a crutch and a drug. It was around 2000 when I decided to do something about it." 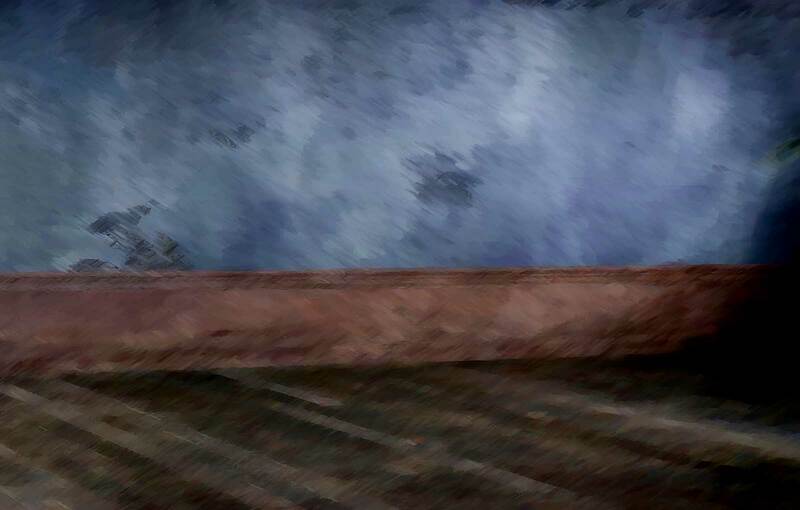 "But through it all, I continued to sing. I've never given up on the dream. Never." "When we were working on Shoot From the Heart, we recorded 21 songs in three days. The musicians loved what they were doing. We were having the best time. This whole experience just blows me away. I'm enjoying what I'm doing so much right now. I feel blessed." Released in early 2011, Lost and Found: The MCA/Capitol Years is Hunley's latest effort. Co-produced by Hunley and Grammy Award-winning producer Norro Wilson, Lost and Found is a compilation of songs that Hunley originally recorded in the '80s on MCA and Capitol Records, some of which were released as singles but didn't made it onto an album. 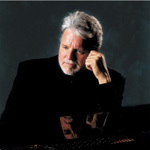 In 2010, Hunley went back into the studio with his longtime producer Wilson and re-recorded these tunes, which have never before been available for purchase by his fans. Lost and Found: The MCA/Capitol Years includes great songs from some of Nashville's best writers such as "What Am I Gonna Do About You" by Bob Simon, Doug Gilmore and Jim Allison and "Once You Get The Feel Of It" penned by Dean Dillon and Larry Butler. Hunley says, "It's been a real thrill to be able to revisit these great songs by such outstanding writers. My road band, who are also great studio musicians in their own right, recorded this project with me and my brothers and sister sang backup, which means the world to me. " "I think many of the new versions sound even better than the originals," he says. "I am fortunate that I still have the ability to do these songs justice after all these years. I'm blessed to have the opportunity to create this project and hope folks get as much joy out of listening to it as I did in recording it."